The Israeli army is in regular communication with rebel groups and its assistance includes undisclosed payments to commanders that help pay salaries of fighters and buy ammunition and weapons, according to interviews with about half a dozen Syrian fighters. Israel has established a military unit that oversees the support in Syria—a country that it has been in a state of war with for decades—and set aside a specific budget for the aid, said one person familiar with the Israeli operation. 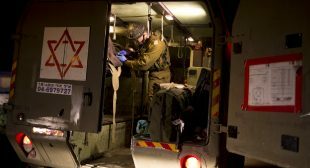 This news comes as a major surprise because while it was well known that Israel has provided medical help for Syrian civilians and fighters inside its own borders in the past, with the IDF retaliating to occasional stray rockets in the restive border region with reprisals, it was previously thought that the Israeli authorities largely stay out of the complicated six-year-old conflict next door.